Interesting option to spend some time swimming in Fraser. Is it not your initial time here? Tell us how it went employing the Facebook comments beneath or contacting us directly! 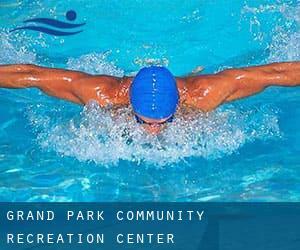 Grand Park Community Recreation Center is only one of all of the swimming pools Swimia is offering you, and its information has been shared with us by a swimmer like you.Don't forget you could now promote Grand Park Community Recreation Center by sharing this page with your close friends, adding comments and linking to us. This sports center delivers 25 yards, 4 lanes, Non-Chlorine Sanitized, Indoors. Contact facts for this Pool like phone number and email address are number. Approximately 3 miles east on US 40 from Winter park Ski Resort; west (left) side of Highway; frontage road: Main Street. Updated on 2019 Highway 40 , Snow Mountain Ranch , CO , USA (Postal Code: 80446). This sports center offers 25 yards, 8 lanes, Indoors. For this Swimming Pool, only phone number is number here.